The Drehturm SK gun bunker which could rotate 360 degrees, Batterie Waldam, east of Calais. 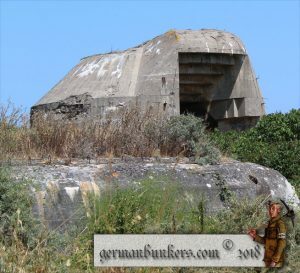 During World War 2 the Germans built an enormous amount of concrete bunkers and fixed fortifications commonly known as the Atlantikwall, it stretched from the Pyrenees in Spain all the way to Norway. 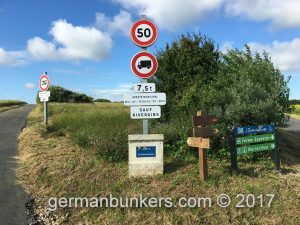 Their remains can still be seen today and in 2013, another visit in 2016 and my latest visit I started my journey to visit and photograph the many remains of these bunkers as well as the vast array of wonderful museums that are all over France. As time permits we will continue to update this site with other countries but for now the main focus is on France and with two small visits to Belgium. In this web site you will find a wide variety of information on how best to travel in France and Belgium, the best routes to take to get to the museums and bunker remains as well as information on ferries, trains and car rentals. Also included will be GPS and navigation information on how to best navigate your way through the beautiful countrysides of France and Belgium.